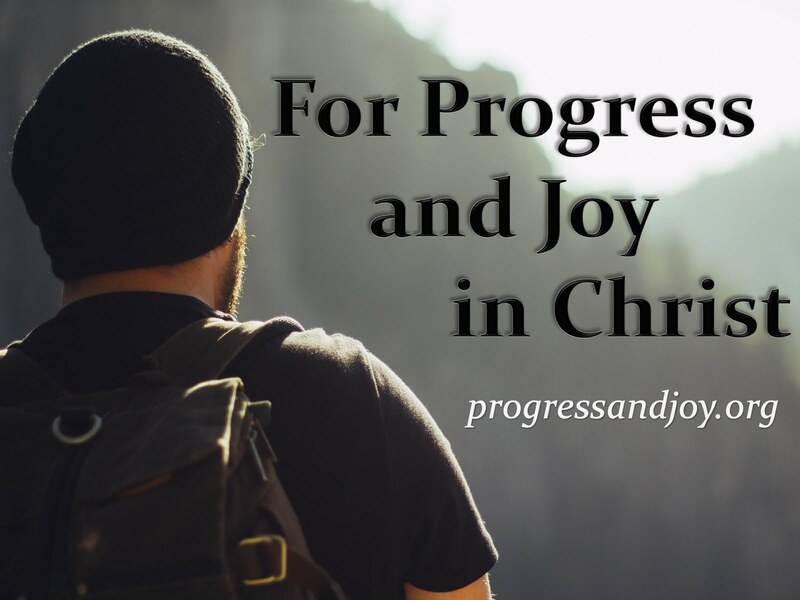 Progress and Joy: The Word - John 8:37-47 Does the Word Have a Place? The Word - John 8:37-47 Does the Word Have a Place? We will be spending the next few weeks looking at a few different texts in a series I have titled “Sermons on the Word of God from the Word of God.” Today I would like to begin the series by looking at John 8:37-47. We will focus on the Word having a place in us. Point 1: Context- Who is their father? Children of God are those who (1) Practice Righteousness and (2) Love their Brother. They show themselves to NOT be spiritual descendants of Abraham. 1. They believe Jesus’ word until it clashes with their tradition. 2. They become murderous when called into question or in disagreement with Jesus. 3. They are prepared at any time to leave the teaching of Jesus. These are not the works of Abraham who believed God and it was accounted to him for righteousness. “You do what you have seen with your father” - The “doing” is the truth teller. No matter what people claim, if what they do is not the same, then there is the truth. Jesus implies that their father is the devil and then states it (v44). It is only natural for the devil and his children to lie and murder (v44). The Unregenerate: Before a person is born again their soul is stuffed with all sorts of evils. There is no room for the Word of God in an unregenerate person- there is no desire for it, there is no love of it, and there is no interest in the truth. If a person feels no need for the Word, then there is no place for it in them. These certain Jews heard the words of truth from the lips of the Lord and became enraged to the point of murderous schemes. There is no communion between light and darkness. The children of the devil, no matter who they claim to be, become furious at the hint of truth. They want no part. The Regenerate: Christians should take this as a warning. Jesus said these things to Jewish leaders. They knew the Scriptures better than anyone. They were the teachers. They even had a large chunk of what we call the Old Testament memorized! Yet Jesus that said His Word had no place in them. When God is our Father we love Jesus the Son. Loving Jesus means that we love His Word and we take heed to it by complying with it. “He who is of God hears God’s words” - v47 reminds me 10:27 My sheep hear My voice and I know them and they follow Me. Jesus has said that they do not believe Him and they are not able to listen to His Word therefore we must conclude that they are not of God. Illustration from Matthew 12:43-45 - We cannot merely clean ourselves up every once in a while. We cannot simply tidy our lives up every now and again. We must fill our souls and our lives with the Word of God. If we do not then there is room for the evils of this world to come and stay. You cannot continue in sin that grace may abound, but continue in grace (found in the Word of God) that His glory may abound and we may be saved by it. V31 “If you abide in My Word, you are My disciples indeed.” Abiding is continuing. We must continue to fill ourselves with His Word, which is the whole counsel of God found in the Bible. Does the Word find a place in you? Your family? This church? Is there room for the Word or do you push it away? There is no other way to find truth and salvation than from the Word of God. Make room! The last image I will give you is this- food is necessary and good for the body yet once you eat, it will fill you up and then digest which is how it will nurture your body. The same can be said of the Word. You can eat it up (taste and see that the Lord is good) to your full, yet when it does its work it will digest into your soul. Then there will be a need to come back and eat of the riches of Scripture. Just because you get full one time doesn’t mean you will never eat again. There is room in you, but does the Word find a place or is it already taken?